Sarasota, FL; September 25, 2014 // – Gecko’s Grill & Pub, a local favorite Sports Bar, Neighborhood Grill, and perennial “Best Of” winner has opened a sixth restaurant this Summer. The new store, located at Fruitville and North Cattlemen Roads, is the largest of the Gecko’s siblings at 10,000 square feet, and incorporates a spacious patio overlooking a water feature. The fresh interior is modern, bright, and inviting with nautical design elements, yet pays homage through historical images to the original East County neighborhoods, then known as the Community of Fruitville, Florida. With the reliable Gecko’s polished casual menu of Pub food with a gourmet twist and their Sports-strong atmosphere, the location will provide an amenity to compliment the emergent Sports Tourism wave while providing Sarasota and Manatee family neighborhoods with another locally owned dining option. Gecko’s Grill & Pub has a long history of serving as Business Partners with dozens of schools in Sarasota and Manatee County, providing Super Student Free Meals to tens of thousands of elementary students and supporting untold numbers of teams, projects, fundraisers and events in area schools, philanthropies, and charitable groups. Gecko’s was awarded the National Restaurant Association Educational Foundation’s prestigious Florida Restaurant Neighbor award for the past two years. This honor recognizes outstanding restaurants around the country that go above and beyond in community service, and aims to inspire other restaurateurs to get or stay involved in their local communities. 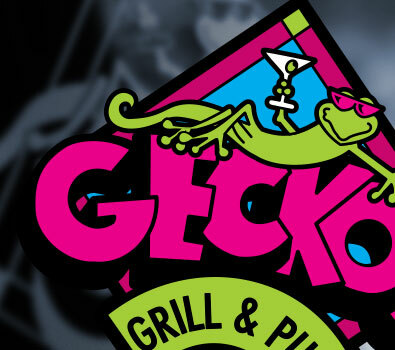 Gecko’s Grill & Pub has been locally owned and operated by Quillen and Gowan since 1992, and employs over 350 Floridians. Their newest venture, S’macks Burgers & Shakes, opened in Summer, 2013. Over their 22 year run, Gecko’s Grill & Pubs have created steady economic stimulus, generating jobs for thousands of employees. The Gecko’s mission is to provide exceptional hospitality, and fresh local fare with a gourmet twist, with a menu that is accessible to everyone.